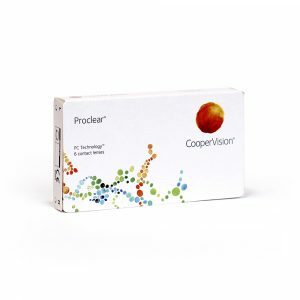 Cooper Vision is the contact lens of choice for many leading eye care professionals, nationwide. As one of the leading manufacturers in the world today, making hundreds of thousands of lenses every week. It was established in 1980. However, the history of the company goes back much further. Throughout the 1980s and 1990s, several companies were acquired. The latest acquisition is that of global eye care manufacturer Sauflon. This inevitably led to increased product lines and manufacturing capacity. Research and development grew as well. In 2005 Cooper Vision became the world’s third largest soft contact lens company. ProClear contact lenses by Cooper Vision are a well know brand of lenses which incorporate a wide range of wearing modalities. Daily contact lenses. Monthlies. Toric contact lenses as well as multifocal lenses.